The mystery behind one of the biggest 'stars' to emerge on Instagram has finally been broken. Communications executives share their thoughts. However, it turns out Eugene has struggled to cope with the pressures of Insta-stardom. Today, the world’s most famous egg cracked in a video, urging others with social media anxiety to seek help. The concept was devised by The & Partnership creative Chris Godfrey. PR professionals believe the campaign demonstrates the sometimes vacuous nature of social media but also how it can also be a force for good. 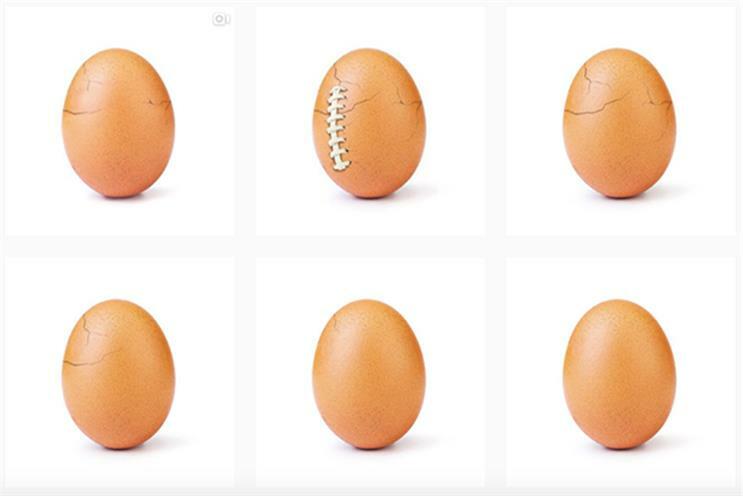 "When so many people base their self-esteem on how many 'likes' they can get on Instagram, the egg record is a neat subversion of the shallow times we live in," W Communications executive creative director Mark Perkins, who has worked with Godfrey on previous campaigns, said. "There was always a feeling that there was more to it than simply setting a record to beat Kylie Jenner. It’s a brilliant campaign for mental health, with simplicity at its core. From a personal point of view, I nearly fell off my chair when I saw the brains behind it was Chris Godfrey." Ready10 founder David Fraser is another who "shellebrated" the simplicity of the idea to mobilise a huge online audience. "This is a cracking campaign and, for the past month, it’s been very difficult to eggnore – and, as a consequence, hard to beat," he said. "In overtaking Kylie Jenner, the egg has also demonstrated the power of having a big audience and how to use that for good." PrettyGreen chief executive and founder Mark Stringer told PRWeek he believes the campaign could completely scramble this year’s awards season. "The awards industry is about to see a decline in entries as the world record egg is about to win virtually every category! It’s pure genius how the campaign has evolved," he said. "Did it start as a mental health campaign? Was Kylie Jenner in on the act? Was it always about a big reveal? If it was, then it’s been beautifully seeded, in a way which is so incredibly difficult to do. If it wasn’t, and the egg gang decided to harness the energy behind the campaign to do something around mental health, then total respect." Fever creative director Jo Chappel was also curious about which came first – the purpose or the egg? She said the banality of a stock image that garnered 52 million "likes" had "everyone scrambling for some hidden meaning, but thankfully it’s turned out that this is a good egg". "In an absolute masterclass of hype-building, 'the egg’ has cracked the brittleness of celebrity culture wide open and exposed the true value of ‘likes’. Now it’s reached boiling point, it will be interesting to see whether this egg has legs," she said. Blurred chief executive and founder Nik Govier loved how the campaign's complexity is hidden in superficiality. "A smart, slow tease with a powerful reveal. We’re clearly reaching peak social ‘pressure’ with Rankin’s Selfie Harm also catching fire this week," she said. Zeno 3 Monkeys managing director of Europe, Steve Earl, added: "It’s sheer campaign genius – and what a way to come out of the shell. Not only is the idea fantastic, but it’s spot-on for highlighting unseen mental-health issues that lie within." Eugene’s world record-breaking effort isn’t the first time a campaign has generated a surge of publicity by employing an unexpected twist. A campaign for French charity Elle’s Imagine’nt saw former manager of the French national football team Raymond Domenech tweet #Jenesupportepaslesbleus (I can’t stand Le Bleus – the nickname of the French team) shortly before Euro 2016. Sports journalists and former players followed suit. It was later revealed Le Bleus referred to the French word for "bruises", with the public encouraged to repeat the hashtag and show their support for ending domestic violence. 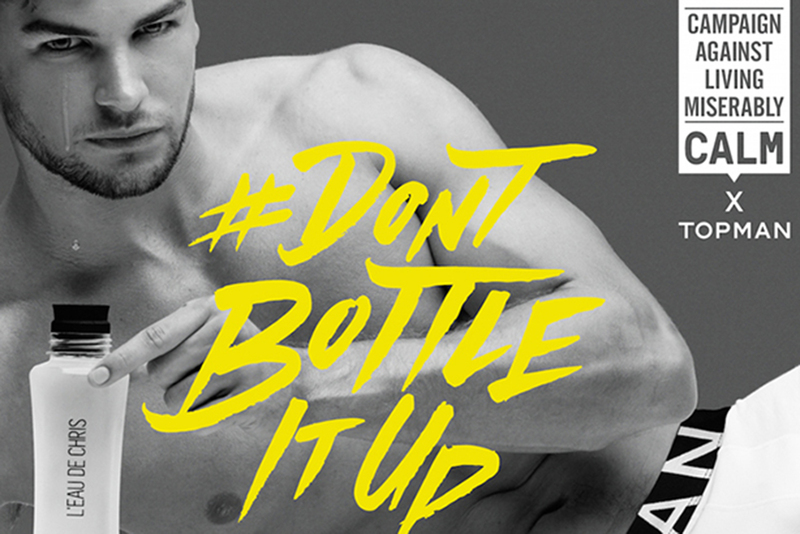 Then there was last year's PRWeek award-winning L’eau De Chris campaign (pictured, above) by W that saw reality TV star Chris Hughes launch a bottled water brand infused with his own tears, in partnership with Topman. It was later revealed to be a stunt for Campaign Against Living Miserably to encourage young men not to bottle up their feelings. Tin Man founder Mandy Sharp said it's this ability to generate global talkability over something so trivial that makes this a "super-smart campaign". "(Eu)genius, some might say. As comms people, we know we’ve hit the big time when people from all walks of life start spontaneously talking to you about a cultural moment. Even better when they don’t realise it’s a marketing idea," she said. "My teenage daughter told me over dinner all her friends were following a new egg account on Instagram and, a few days later, my 70-year-old mother asked me: 'What’s the big deal with this egg on social media?' This campaign was ubiquitous in its appeal. I love clever creativity, but even more so when it’s rooted in a serious and authentic purpose."